Illustrated by Ainsley Yeager. Written by Rhiannon R-S. 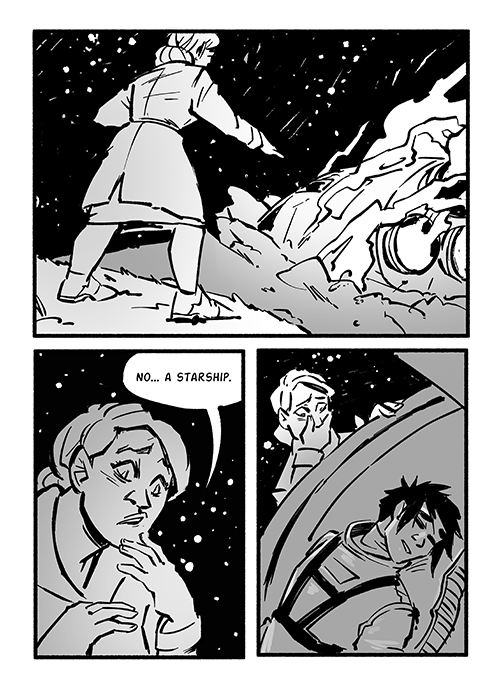 In a retro-future city where only the wealthy can (literally) reach the stars, an astronomer witnesses a shuttle crash and rescues the only survivor. 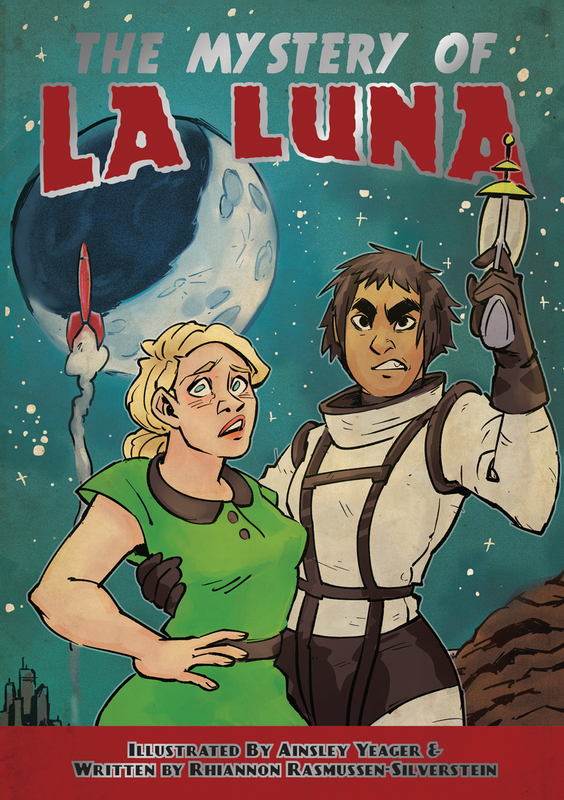 While the survivor, Lucia, recovers, they become friends, and the astronomer realizes that she may be able to leave Earth-- but Lucia is more than she appears, and the astronomer has stumbled into a hidden society. 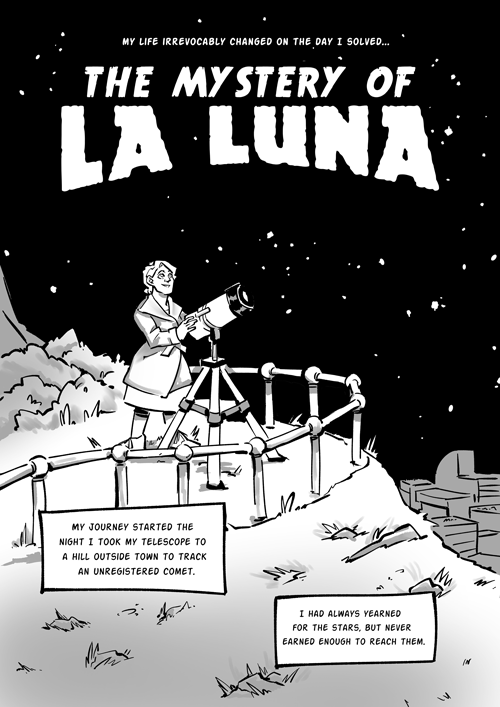 This comic follows two women characters as they struggle and build a friendship that takes them -- to the moon!